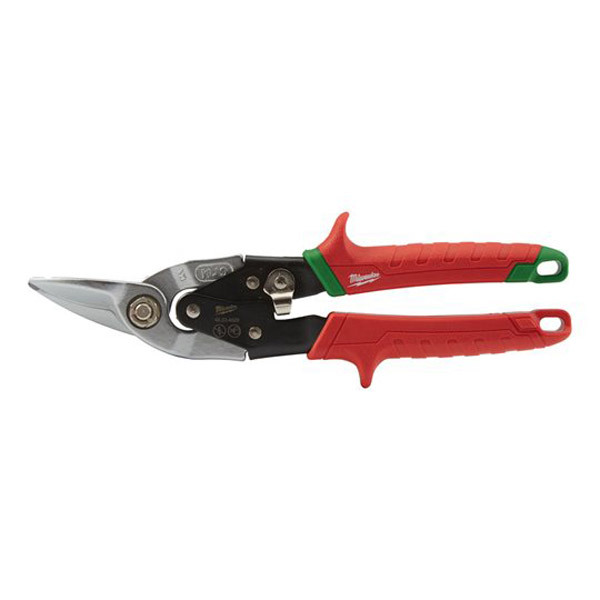 The Milwaukee Metal Snips include durable and ergonomic over moulded grips which offer comfort and a long life. The thumb and forefinger slots also add to the comfort as well as safeguarding against wounding the user when cutting tougher materials. These snips also include a torsion spring which automatically opens the jaws, removing the need to do so manually. This paired witht the sturdy forged alloy steel offers the finest durability possible.